Lisa: Yes, even before having kids, I left the practice of law at a big law firm to become the recruiting manager (of admittedly, another large law firm) as I found greater satisfaction and a better work/life balance in mentoring new and summer associates, as well as being on the administrative side of law firm life. After having our twins and another child just 19 months later, I left law firm life completely and looked for work that would fit into my life as a mom, i.e., around my kids’ nursery school schedules. This has led to an amalgam of several supposedly part-time jobs that now add up to more than full time, but allow me to make my own schedule around my kids’ schedules. If you had asked me before having kids if I would ever leave my position as recruiting manager, I would have answered a firm and resolute “no,” but after going through two years of infertility and several rounds of fertility treatments, my priorities shifted completely and nothing was more important to me than being with my children full-time. Julie: I wear two hats: I am a government lawyer and a co-owner of our running coaching business, Run Farther & Faster. I have been very fortunate throughout my legal career to have been presented with work-life balance opportunities that I realize are rare, particularly in the legal field, including the part-time attorney position I have now. I work three days a week, which gives me opportunities, on the days I am not in the office, to volunteer in my kids’ school and the community and channel my passion for running into a business. Lisa, my business partner, and I struggle to find balance as our business grows, but what we’ve found to work for us is to learn that it is okay to say no sometimes. This is so hard for both of us, as we are people pleasers, but we have found that by being a bit more selective on how we spend our time, we are happier, and therefore, our families are happier. Lisa and Julie: We both agree that to have “it all” without sacrifice is impossible. Realistically, if we were to try to have “it all” as traditionally defined, we would inevitably sacrifice sleep, relationships, and our overall happiness. Instead, we both try to focus on the bigger picture, redefining “it all” to mean that our husbands and kids are happy and well-adjusted, our business is thriving, and we (and our families) are healthy. If all of that is happening, maybe not on a daily basis but on the macro level, then we feel like we have it all. And if we find we’re struggling in any of those areas, we try to figure out how to improve that area without disrupting the other. It’s a delicate balance, but by really focusing on what is important in the big picture, we’re able to sweat the small stuff less. Lisa: How to unplug, turn off “work” mode, and completely focus on my kids and family. Because I don’t have a typical 9-to-5 job where I go into an office, get work done, and leave the office to come home, my work is spread throughout the day, in between school hours, helping kids with homework, shuttling them to activities, and my own volunteer commitments. It’s hard to resist that urge to answer “just one more email” or get distracted by a phone call before playing a game with the kids or reading them a bedtime story. Julie: I cannot figure out how to keep my household calm during the hours between 4 pm and bedtime on school nights, so that we have some quality time during the week, and not just on the weekends. Between homework, activities, dinner, and showers (a hotly contested discussion in my house regularly is whether one really needs a shower), we do not have enough time for spontaneous fun or conversation beyond just a few minutes per night. I need to work on improving this. Lisa: Figuring out what is important and needs immediate attention, and what can wait until tomorrow. Julie: I am getting better at recognizing that because I juggle a lot, I cannot give 100% to everything I do, and if I did, something would suffer. Most of the time, “good enough” is a healthier approach for me. Lisa: I use my email inbox as my “to do” list, and even send myself “to do” emails that I don’t delete until I’ve completed the task. I aim to get my inbox down to 50 emails each night before I go to bed. If I can get it down to 50, where the 50 emails in the inbox are tasks that can wait a few days to get to, I feel like I’ve accomplished the most urgent items and can get to the others at a later point in time. This helps me prioritize a growing task list and prevents me from feeling overwhelmed. 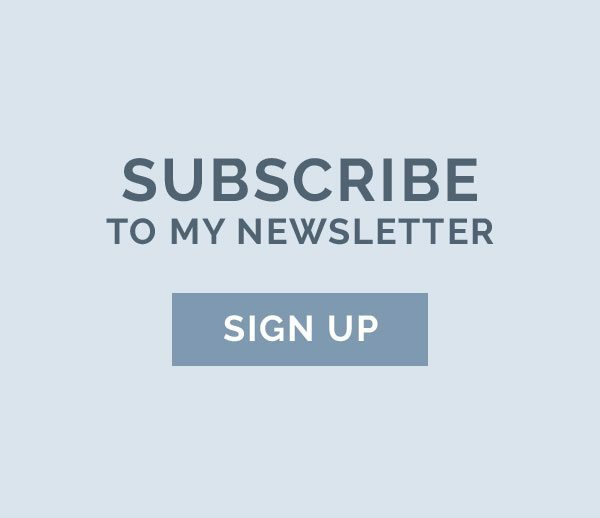 Julie: I have four hacks: 1) Email: recently, I stopped responding to email within minutes of arrival in my inbox, which was my previous practice. I now try to respond to my email in batches a few times a day; 2) Laundry: I taught my 11-year-old how to operate the washer and dryer, I spend as little time possible sorting and folding, and I accept that our clothes are sometimes more wrinkled and that no one cares; 3) Amazon Prime: best errand avoider ever; and 4) Sleep: shut down, turn it off, and go to bed to be more productive (and less moody) the next day. What was the best advice you ever heard on balance from a mentor/co-worker? Julie: My former director, a very respected attorney whose kids were grown at the time, told me that I will never regret taking time off work to attend my kids’ events, as they are only kids once. Julie: “You are only as happy as your least happy child,” which is a constant reminder that my family is always my first priority. Julie: “Your reputation speaks for itself.” My husband is such a huge supporter of me and our business. He encourages us to take risks, and is often the voice of reason when I start to doubt myself. Lisa: Seeing how quickly they grow up, I savor every moment and don’t rush time. Julie: Actions speak louder than words. How I conduct myself in the presence of my kids and how I choose to live my life will set an example for my kids beyond anything I say to them. Lisa: Pathetic, but assuming I already had the time to go for a run, cleaning and organizing my house. Julie: I would spend more time with my girlfriends, near and far. Lisa: That it was okay to be on my own. I always had a boyfriend and never lived without a roommate. I feared being lonely. I wish I had the opportunity to live, travel, and just “be” on my own for at least part of my 20s. Julie: It will all be okay. Lisa: How to sit still for just a few minutes and relax. Lisa: The laundry. Although to his credit, my husband has taken over this task, probably because he doesn’t like how I fold clothes. Julie: Weeknight dinners. Who wouldn’t want a chef to cook healthy family dinners and clean up, which would solve the above-mentioned evening chaos? Lisa: Television or radio talk show host. Julie: Ellen Degeneres. I’ve always wanted a talk show…maybe, since we both had the same answer, we should do a show about running. Lisa: A teacher. I spend one hour with 24 kids once a week coaching a running club, and that exhausts me more than any marathon. Julie: I admire police officers and first responders. I am not brave enough to do their job, and I am so grateful for their sacrifice. 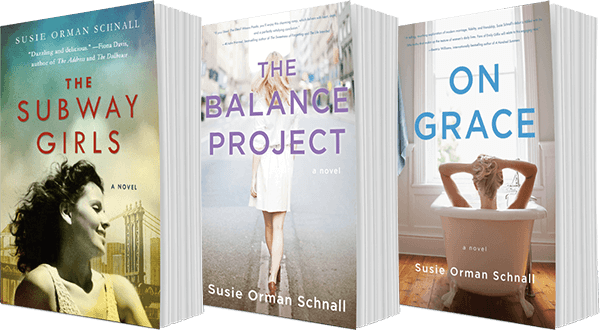 Lisa: Anything by John Grisham or Jennifer Weiner. Julie: Unbroken by Laura Hillebrand. Lisa: Older, Faster, Stronger: What Women Runners Can Teach Us All About Living Younger, Longer by Margaret Webb. Julie: Wild by Chery Strayed. Lisa and Julie: Clearly, running. Lisa: Frosting straight from the container. Julie: Good & Plenty, Peeps, and candy corn. Lisa: 6-7. When I’m particularly busy, sleep gets sacrificed and it can be as little as 4-5 hours. Julie: 7-7.5 during the week and closer to 7 on the weekends (we coach and run our longer training runs on the weekends). Julie: I have a 45-minute train commute, so I read The Washington Post online, theSkimm, and of course, Facebook. Lisa: am so fortunate to have three amazing, healthy kids, a caring husband, awesome friends, and that I get to do what I love (coaching runners) with an outstanding business partner, who also happens to be one of those awesome friends! Julie: I think ditto to what Lisa said, and I think I am a crazy Jewish mother runner. Lisa: was better about keeping in touch with my friends who I don’t get to see on a regular basis. Julie: lived closer to my mom and my sisters so our kids could grow up together. Julie: are the best thing I have ever accomplished. 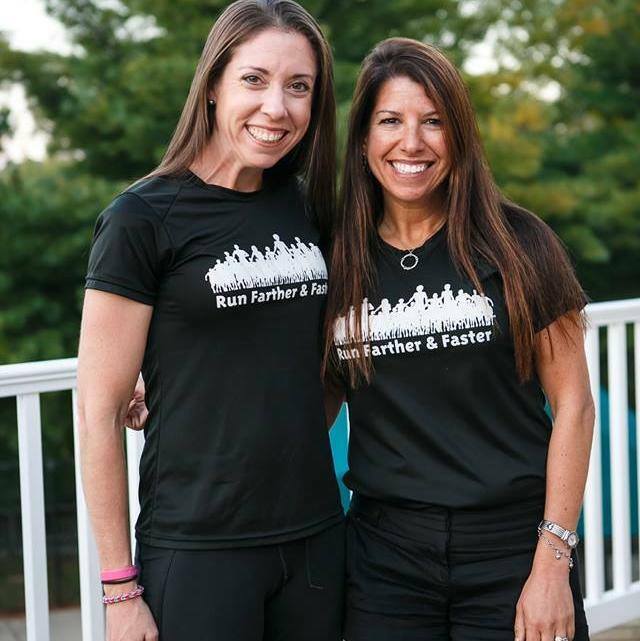 Lisa and Julie: Between the two of us, we have completed the Boston Marathon 20 times and have coached hundreds of runners over the past five years since we started our company. Neither of us ran or did anything athletic when we were younger, but each separately found running to be a stress release “later” in life in law school. We love watching the adults and kids we coach find a sense of accomplishment, release, and identity in running. Lisa and Julie didn’t meet until 2009, but led parallel lives and often think that they may have been separated at birth. Neither was athletic growing up, both preferring dance and cheerleading to anything involving running. Separately, they discovered their ability as runners after taking up running as a release from the stress and rigors of law school. Both now have established themselves as top runners and coaches in the Washington, DC area. After co-founding Run Farther & Faster in 2010, Lisa and Julie have helped hundreds of runners of all levels and abilities achieve their goals through personalized, experienced, and comprehensive coaching. Lisa and Julie also coach youth runners through their children’s elementary school Run Clubs and through the Jewish Community Center of Greater Washington’s summer camp. 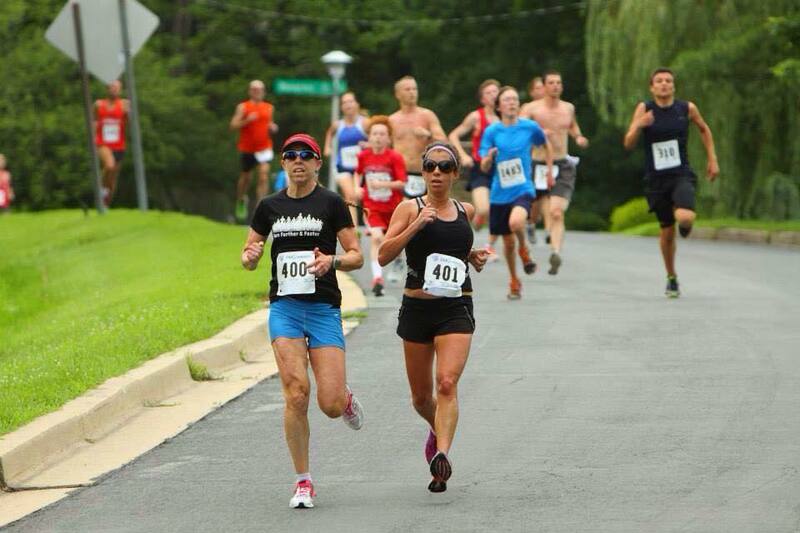 They have been recognized by RunWashington Magazine as top coaches in the Washington DC area and have been contributors to Runner’s World, Women’s Running, Washingtonian Magazine, the Washington Post, WTOP, and other print publications.